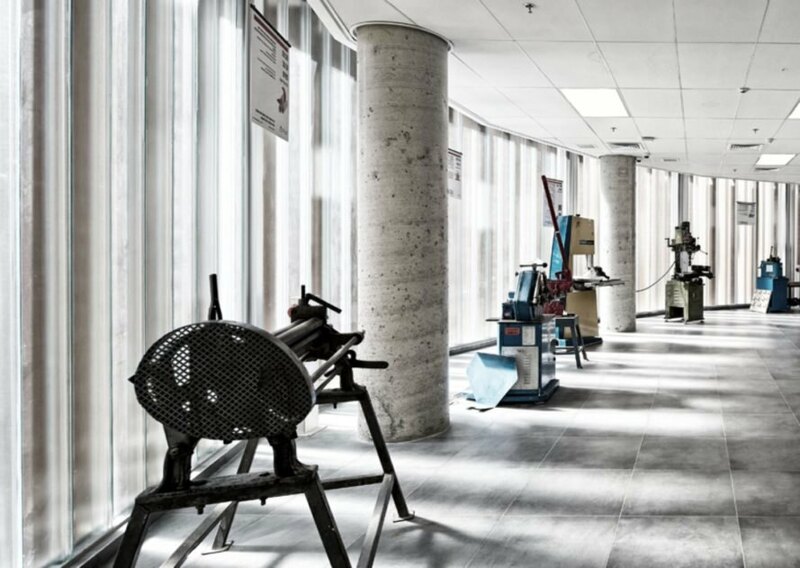 A former brownfield has been transformed into the remediated site for ECO-TUBES, the Azriel Faculty of Design’s Workshop Building that boasts sustainable construction materials and energy-efficient systems. 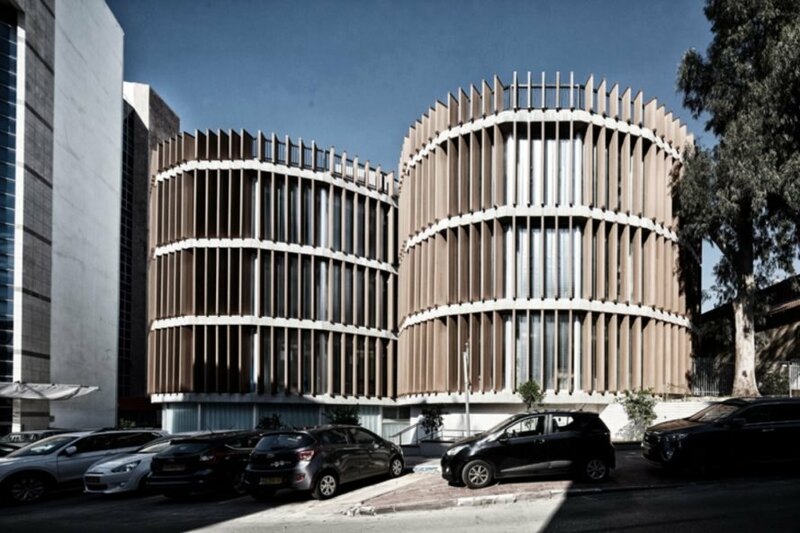 Designed by architect Joseph Cory of the Israeli architecture studio Geotectura Studio, the recently completed building was developed as part of the planned renovation of Shenkar College’s campus in Ramat Gan, Israel and features recycled and local materials along with non-toxic finishes. Selected as the winner of a competition, the Azriel Faculty of Design’s Workshops Building (ECO-TUBES) design was favored over other proposals due to its ability to be implemented in phases without disrupting student activity. 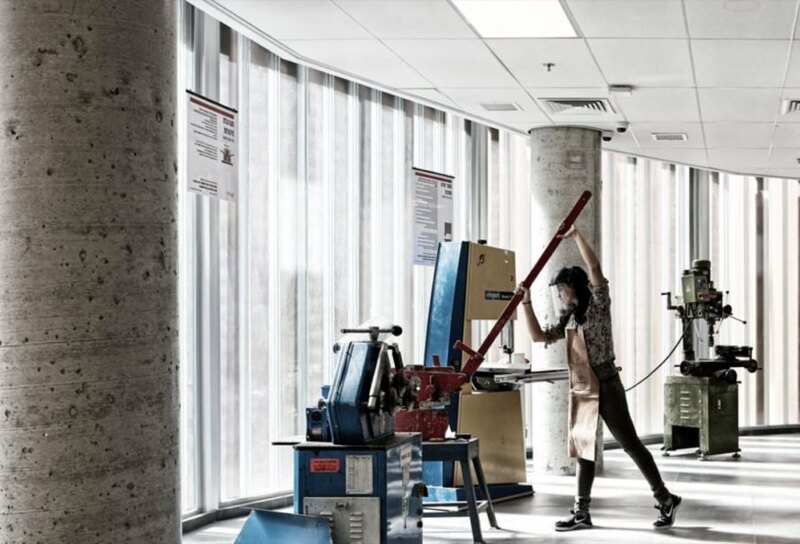 Installed in two phases, the 6,600-square-meter Azriel Faculty of Design’s Workshops Building houses several workshop rooms—among them woodworking, metalworking, painting, foam manipulation and more—in addition to classrooms, offices, gallery spaces and the Gottesman Department of Jewelry Design. The building has also been engineered to allow for future growth through the addition of extra floors. In a nod to the city’s heritage as a major citrus producer, the landscaping features a variety of citrus trees (including orange, pomelo, lime, pomelit and grapefruit) to mimic an urban orchard. The roof has also been transformed into a mini orchard with container plants. 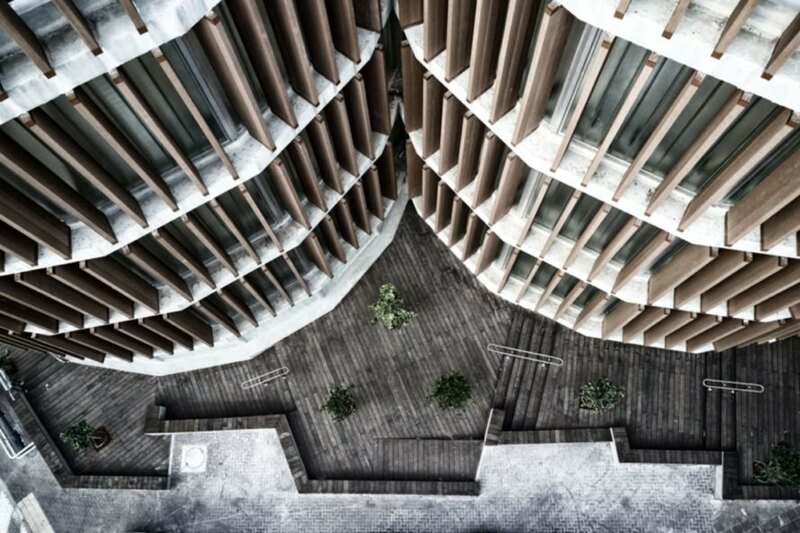 The abundance of greenery, along with the vertical louvers, made from bamboo fiber and recycled plastic, helps to combat the urban heat island effect and create a pleasant microclimate. The Eco-Tubes building features a mix of a variety of green and rough materials. Planners used BIM 3D design methodology along with preexisting information about the building for the model. Citrus trees such as orange, pomelo, lime and grapefruit add a historical tough to the property that was once covered in citrus orchards. Geotectura aimed to maximize natural light within the building. 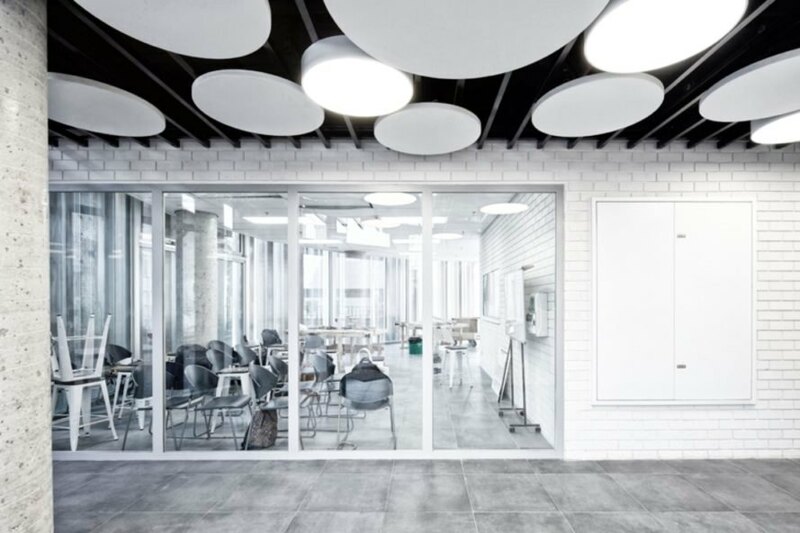 The building's arched design helps workstations receive soft, natural light. Geotectura designed the building to be energy-efficient. The building's new design allowed once separated departments to be in one building again. The shape of the building traces the sun's path to help illuminate all workshops. The building houses workshops, offices, galleries and the Gottesman Department of Jewelry Design. 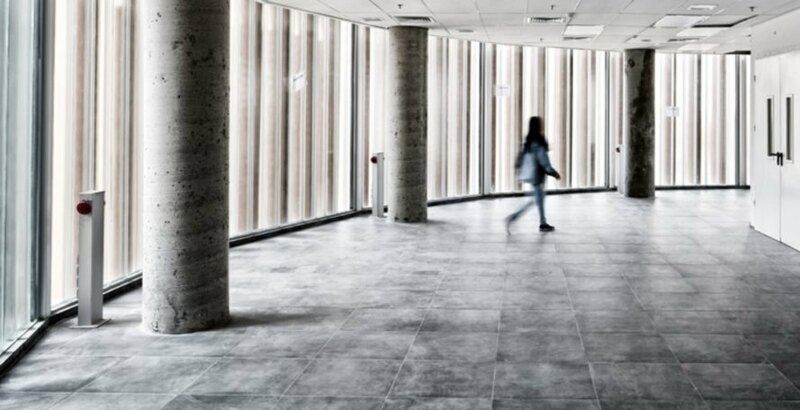 All the rooms in the building have work spaces that provide students with maximal natural and soft light. Students have enough space in the workshops throughout the building to work comfortably. The building's large windows help the building's eco-initiative while also avoiding tough sun rays.